For some it’s the ultimate work-life balance – living in a home fit for a holiday, while generating a decent income. Though bed and breakfast owners often enjoy these perks, there’s a lot to consider before delving into the world of hosted accommodation. Like most modern businesses, the bed and breakfast operation is a rapidly changing industry. 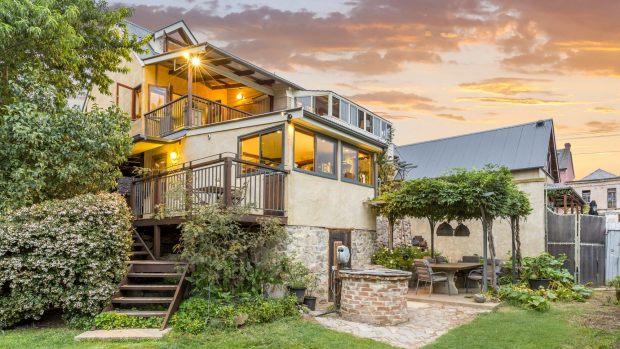 Homesteads and farm-stays may offer their guests a getaway free of modern distractions coupled with a healthy dose of old-world charm, but their operators need to be tech savvy, in tune with the local market and constantly on-the-ball. Hosted Accommodation Australia (HAA) executive officer Liz Pryor said a B&B owner would find it difficult to operate if they are not up to speed with the latest online booking technology. “Many old school operators still insist that they need to speak with guests when a booking is made and this is having a big impact on their level of bookings,” Pryor said. There’s also the matter of regulations, and whether you’re buying an established business or starting from scratch, it’s well worth getting your head around the services you’re allowed to provide and how that aligns with the business that you envision. If you can navigate the rules and regulations, the bed and breakfast business can be an enjoyable and rewarding experience, according to Ginninderry Homestead owner and operator Sue Sciberras. “It depends on how much (the operators) put into it,” Sciberras says. Sciberras says companies like Airbnb have created extra competition for her city counterparts and their members aren’t subjected to the same tough regulations as accredited hosted accommodation. The other side of the coin is that the website offers an affordable service that all B&B operators can use. Other challenges that B&Bs face can vary as much as the towns that they populate. For example, Pryor says HAA members in Perth are experiencing a drop in bookings as a result of the mining industry’s decline. “As with any section of the tourism industry, B&Bs are vulnerable to external factors like that,” Pryor says. Business savvy and creativity can go a long way in creating a viable B&B, and tailoring an establishment to suit your interest and capabilities has proven to be a key driver of a successful operation. Sciberras, for example, has teamed up with her daughter to provide a “one-stop shop” for weddings at Ginninderry Homestead. Pryor says B&Bs come in various shapes and sizes and the markets they serve can vastly differ. “It is certainly not a one-size-fits-all sector of the tourism industry,” Pryor says. “Hosts can bring their own life experiences to their business and many of them target guests and groups of guests who share their interests, such as artists, quilters, cooks, golfers, bushwalkers and wine buffs. Beautiful rooms, antique furniture and lush country gardens immediately spring to mind when you think of B&Bs, but it’s the less romantic details that can trip up potential operators. Research the regulations – From liquor and entertainment licences to swimming pool safety and building permits, there’s a long list of regulations operators must adhere to and they differ from council to council. Hosted Accommodation Australia has published a comprehensive guide and it can be purchased on the website at www.haalimited.com.au or by phoning 1300 664 707. Get tech savvy – Online bookings are an essential part of operating a profitable business in 2016. The HAA can provide technical advice, which covers all levels of competency. “This is probably one of the biggest challenges facing time-poor small business owners,” Pryor says. Insure the property – Pryor says a normal household insurance policy is not sufficient for B&Bs. The property should be insured under a bed and breakfast policy to be fully covered. The enchanting Ginninderry Homestead is like something out of a fairytale. It’s a world away from owner Sue Sciberras’ former role in HR, but she took to the job transition with passion and finesse, which ensured the success of the local business. 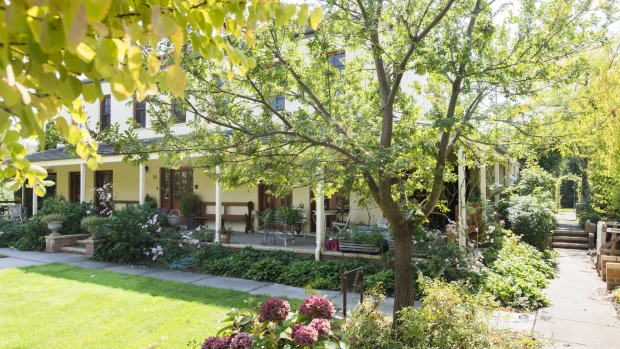 Approaching retirement, Sciberras, above, built a Georgian-style homestead on the 28-hectare parcel of land, which encompasses cottage gardens, rolling hills and the Ginninderra Creek. The business has operated for about 15 years and she attributes her success to its peaceful location on the fringe of the ACT. Ginninderry’s ability to take on a variety of clients, from corporate guests to wedding parties, has also proven to be a key drawcard for the thriving B&B. 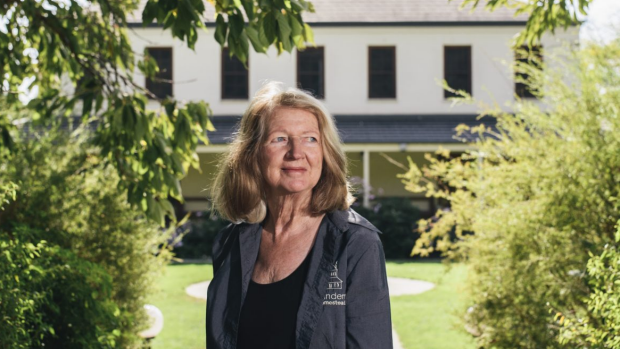 While Sciberras handles the homestead and accompanying one-bedroom cottage her daughter, Amelia Lacey, runs weddings and events from the estate. Wedding parties love that the service, reception and accommodation needs can be handled by the one business. Some may find it a challenge to welcome strangers into their home every day, but Sciberras says her visitors generally arrive at the homestead in a good mood and ready for a relaxing getaway or a happy event like a wedding. “When people come here, they’re just nice,” Sciberras says. Sue says it also helps that she has her own private space and a variety of generous living areas for her guests to enjoy both inside and out, so there is plenty of room for everyone. The homestead features four en suite rooms and there is a self-contained one-bedroom cottage, which is pet friendly and includes an enclosed courtyard. Ginninderry Homestead is situated just outside of Macgregor, 20 minutes from the centre of Canberra. You and your guests will fall in love with this rustic hand-crafted building on the main street of historic Braidwood. The four-in-one commercial and residential building comprises a licensed cafe, main residence, spacious self-contained studio and a holiday cottage. Its prime position opposite the local park offers main street exposure and outstanding rural vistas. The main residence features an open-plan lounge and dining room with bi-fold windows, a French country-style kitchen, two generous bedrooms and a gorgeous loft. With seating for more than 60 guests, the licensed cafe includes a commercial kitchen, bar area, upstairs gallery space and courtyard garden. The cafe is currently untenanted, allowing the new owners the choice of a new tenant or the ability to live and work on the same premises. Clyde Cottage has been well used by locals and visitors, with a tariff of $175 a night. This equates to a return of about $14,000 a year, with the potential for more with greater exposure. It features a living area and kitchen, spacious bedroom and modern bathroom. The final piece of the puzzle is a self-contained studio with a separate entrance, large open-plan living area, kitchenette and bathroom. It has direct access into the top area of the cafe, so it would be an ideal office for the cafe or business. No. 183 Wallace Street, Braidwood, will be auctioned on Wednesday, April 20, at 5pm. Phone Luton Properties agent Kelly Allen on 0466 632 696. Inspect: Saturday, 11am-noon.